Lindenwood University’s Spellmann Center will house an exhibit by the Missouri State Archives commemorating the 150th anniversary of the Civil War, starting with an opening ceremony at 3 p.m. Sunday, Nov. 4. Lindenwood University has announced the launch of Lindenwood Mobile, a free mobile application that offers users essential campus services through their smartphones and mobile devices. Developed by Blackboard Mobile, a division of the education technology company Blackboard Inc., the application is expected to be popular among prospective and current students, parents, alumni, and family and friends of the university. Lindenwood University’s Film Series will usher in Halloween with a showing of the classic silent vampire film Nosferatu, including accompaniment with original music performed live by the university’s Symphonic Orchestra and Concert Choir. The screening will be at 7:30 p.m. on Tuesday, Oct. 30, in the J. Scheidegger Center for the Arts’ Bezemes Family Theater on campus. Admission is free of charge, but tickets are required. They can be obtained at the Lindenwood Box Office, 636-949-4433. 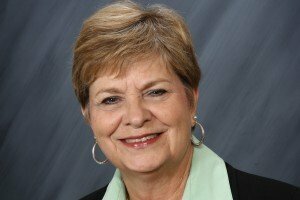 Lindenwood University in St. Charles, Mo., has announced the hiring of Dr. Peggy Ellis as the dean of its planned Nursing and Allied Health Sciences Program, which is slated to launch in fall 2013 at the former site of Barat Academy in Dardenne Prairie, which was purchased by the university last month. 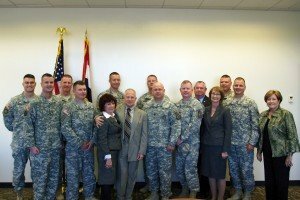 Dignitaries from Lindenwood University, the Missouri National Guard, and the City of St. Charles gathered today at the school to showcase the launch of two online degree programs, a Bachelor of Arts in general studies and a Master of Arts in leadership. The programs are designed to meet the needs of military personnel, who often benefit from the flexibility of online courses. Lindenwood University’s annual Homecoming, Reunion, and Parents’ Weekend is scheduled to take place Oct. 19-20 on the school’s St. Charles campus. The weekend will offer something for everyone through nearly two dozen scheduled activities, sporting events, and gatherings. Lindenwood University in St. Charles, Mo., has taken a critical step toward adding a new nursing program with the acquisition of the former location of Barat Academy in Dardenne Prairie Thursday, Sept. 27. The university plans to use the site as the base for post-associate degree coursework in nursing it will begin offering next year. The Lindenwood University School of Business and Entrepreneurship will host a Sport Management Career Symposium on Thursday, Oct. 11, in Harmon Hall's Dunseth Auditorium on the St. Charles campus. The event will provide networking and professional development opportunities to students wishing to pursue careers in the sport and recreation industry. Donna Baber, JD, has been hired as the Director of Planned Giving at Lindenwood University. In the newly created position, Baber oversees the planning and execution of the university’s planned giving programs through the school’s Institutional Advancement Office. Lindenwood University has been named to the 2013 list of Military Friendly Schools® by Victory Media, a global media entity that supports military personnel through the transition into civilian life. 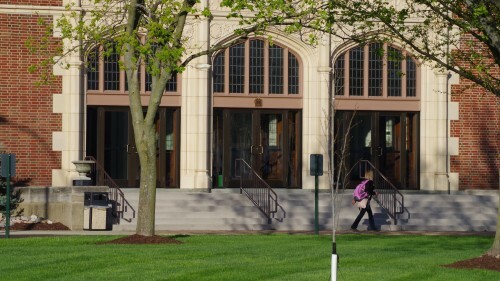 This is the fourth consecutive year Lindenwood has received the honor, which places the school among the top 15 percent of all colleges, universities, and trade schools nationwide that are committed to recruiting and retaining military and veteran students.